We are Social Entrepreneurship Weaver in Indonesia. 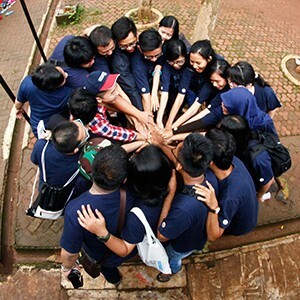 We research, develop, and connect with all of the stakeholders to create a better social entrepreneurship in Indonesia. We are not only thinking about our current social entrepreneurship waves, but we do take serious development in our future generation to become an “Agent of Change”. We promote collaborative-action since 2013 in order to create responsible ecosystem to nurture the growth of leaders with entrepreneurial mindset in business, government, academia, and socio-cultural. So, what will be in Empathy Project 2018? AHAI was designed for primary school students by stimulating them to think creatively and imaginatively, to solve problems, to work in a team, and to improve their communication skills. AHAI is an intensive experiential learning program that uplifts students’ skills through a series of creative games. BCreator is a-one day workshop for youth that adopting discovery learning and experiential learning through a series of fun activities in order to stimulate creativity skill of the participant. Bootcamp for Young Technopreneur (BYTe) is a three-day bootcamp in a local industry that applies an intensive experiential learning program to improve each individual skills in solving problems, making a decision, and especially identifying opportunities, generating and developing innovative ideas to become a business. 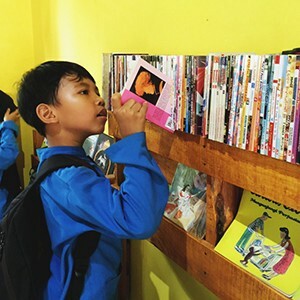 On Empathy Project 2018, we will build four micro-libraries in Sembulang Village, Batam in order to provide access to literacy in the village. How to support Empathy Project 2018? Write a story about simple good deeds you’ve ever done to help others, take a picture related to your story then share it on your social media using hashtag #EmpathyAction, #EmpathyProject2018, and #Act4SDGs, don’t forget to tag us and five of your friends to do the same. 4. 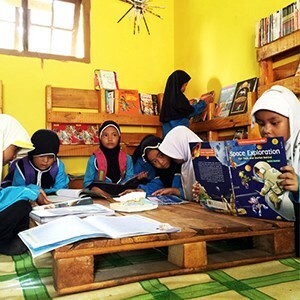 Build 4 micro-libraries to provide access to literacy in the village. We are working so hard to meet our goal, but we really can’t do it without you. We are hoping that you would make a contribution and share our stories to as many people as you can to help us accomplish the goal. 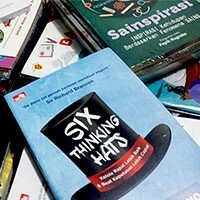 Support from the Largest Publishing in Indonesia! We would like to share our excitement as we’ve received support from the largest publishing company in Indonesia, Elexmedia Komputindo. They support our plan to build four micro libraries by providing hundreds of books for children and youth. This support has helped us to reduce amount of funds need for the Empathy Project 2018. Now we only need to raise $8000. Thank you for your endless support! SociopreneurID always strive to provide great contents around social entrepreneurship and education topics. The blogs are maintained by the whole SociopreneurID team and the top contributors.